By submitting this form you agree to be contacted by a Winnie Dodge Chrysler Jeep Ram staff member. 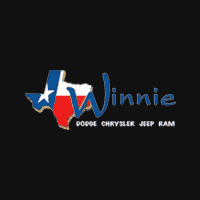 Winnie Dodge Chrysler Jeep Ram in Winnie, TX treats the needs of each individual customer with paramount concern. We know that you have high expectations, and as a car dealer we enjoy the challenge of meeting and exceeding those standards each and every time. Allow us to demonstrate our commitment to excellence! Our experienced sales staff is eager to share its knowledge and enthusiasm with you. We encourage you to browse our online inventory, schedule a test drive and investigate financing options. You can also request more information about a vehicle using our online form or by calling (409) 276-5923. If you don’t see a particular vehicle, check out our Vehicle Finder Service and complete the form. We will gladly inform you when a matching car arrives. If you’d like to see a vehicle in person, go to Contact Us for step-by-step driving instructions to our site, or give us a call. We look forward to serving you! Here at Winnie Dodge Chrysler Jeep Ram we have a committed sales team with many years of automotive experience. Our sales staff will be able to assist you in finding the best car for your needs. Whether you are looking for a new car or a used truck, our team will be able to let you know what we have available so you can test drive your future car the day you visit. Winnie Dodge Chrysler Jeep Ram’s Finance Department, your auto loan and car lease resource. We’re eager to provide financing for your new car, or we can assist in used car financing. Check out our online car loan calculator for an instant car loan rate. Then, proceed to our online finance application. Winnie Dodge Chrysler Jeep Ram has strong relationships and is committed to finding you the perfect car loan company to suit your car finance needs. Winnie Dodge Chrysler Jeep Ram is proud to be the Dodge Ram Chrysler Jeep dealer near me in the Liberty area. Contact us today for exceptional deals on new and used Dodge Ram Chrysler Jeep cars, trucks, SUVs and minivans near me, as well as Chrysler Jeep Dodge Ram service, repair, maintenance, parts & more. Plus, don’t forget to ask about our Chrysler Jeep Dodge Ram financing, lease deals & special offers. Finding reliable Chrysler Jeep Dodge Ram car and truck oil changes, battery replacements, and scheduled service doesn’t have to be difficult. Winnie Dodge Chrysler Jeep Ram’s service department employs only Chrysler Jeep Dodge Ram certified mechanics and technicians in our Winnie area service center. Drop in anytime. For added convenience, we encourage our customers to call ahead or schedule online. Trying to Find Chrysler Jeep Dodge Ram Financing & Lease Deals Nearby? Have you been to Winnie Dodge Chrysler Jeep Ram’s leasing or financing department? If not, you’re probably missing out on some of the best Chrysler Jeep Dodge Ram lease and finance offers available in your area. Don’t miss your chance to save big. Contact the Winnie Dodge Chrysler Jeep Ram finance department today and find the deal you’re looking for. Whether you’re looking for Chrysler Jeep Dodge Ram sales, service or finance, stop by our nearby dealership today. We are located at 125 State Highway 124 • Winnie, TX 77665. Make an appointment online or call today. Courteous staff and offers great deals . See Scott LeBlanc if your looking for a pre-owned vehicle. Great salesman and financing dept! This is the 2nd truck we have bought there...newest addition is a 2018 Ram 2500 4x4..love it!Thanks for the deal Danny!